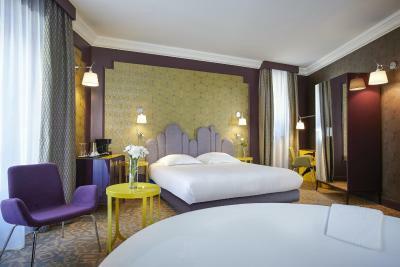 Lock in a great price for Grand Hôtel du Midi Montpellier - Opéra Comédie – rated 8.6 by recent guests! The location was great. Located right on the square and very close to the train station made it a good choice. The room was well decorated and the balconies were a nice bonus. 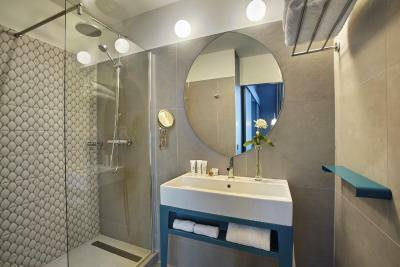 Wonderful shower and heated towel racks. 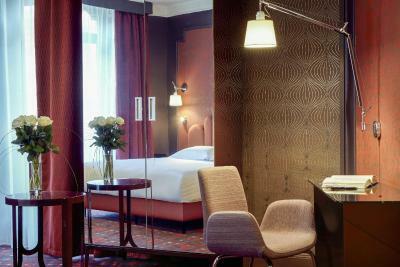 Central location, in an old style building next to the opera house, 7 min walk from the train station, tram lines right in front. Heated drying rack in the bathroom and in room coffee maker were very useful. 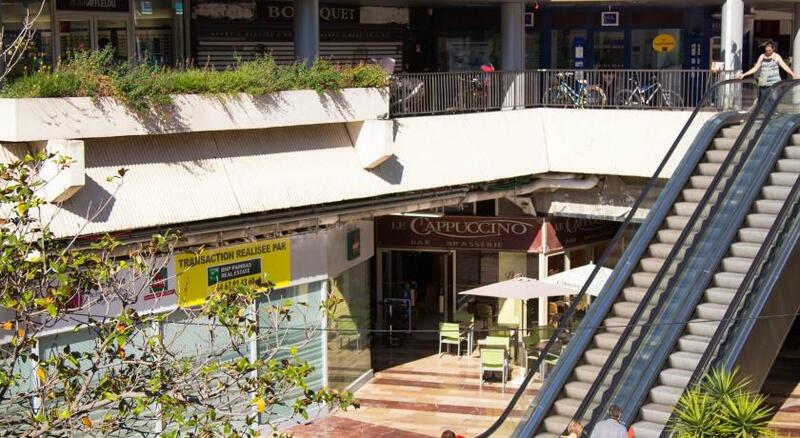 Very central location, restaurants, shops, sights in walking distance. Lovely hotel. full of charm. Super nice concierge. Don't bother looking anywhere else. Definitely recommend!!!! Location. 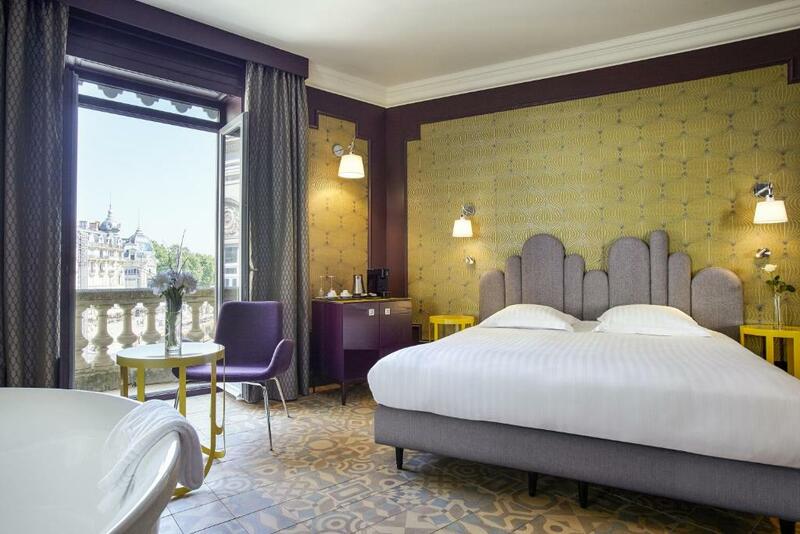 This is a Belle Epoque hotel in the center of the city that was refurbished in 2015. Since, it has been neglected and not well kept. Fix the problems, add AC in all public areas (the rooms have it, why not the public areas) and it will be great. Absolutely great location. Just off the main plaza, 5 minutes walk to many good/great restaurants. Ten - 15 minute walk o the Corum Conference center, where I attended a meeting. Great staff, particularly Makram. Most helpful. Great location. Right near the main square yet quiet. 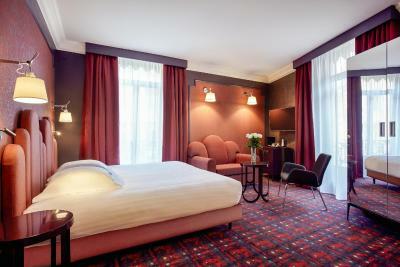 Wonderful large room, spacious and modern in historic building. Will return. Great location in centre, rooms are big, reception (Matthew) and bar lady in evenings were both super nice. Amazing location, helpful staff, and great breakfast. 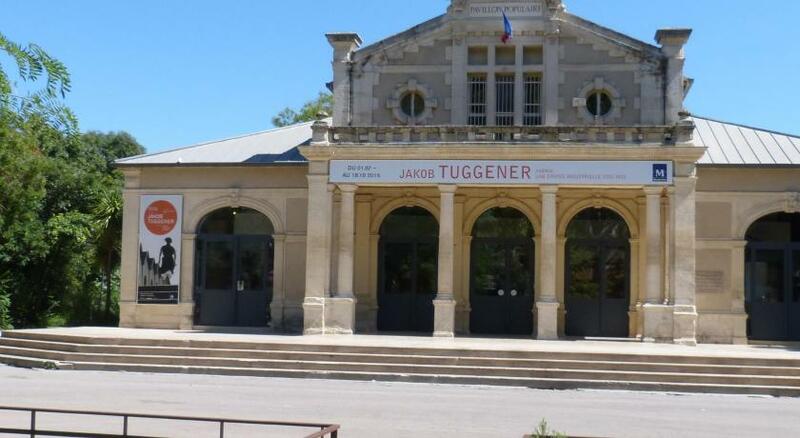 One of our best sellers in Montpellier! 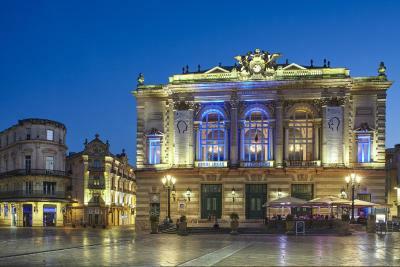 Grand Hôtel du Midi Montpellier - Opéra Comédie sits on Place de la Comédie in the historical center of Montpellier, opposite the Opera house. 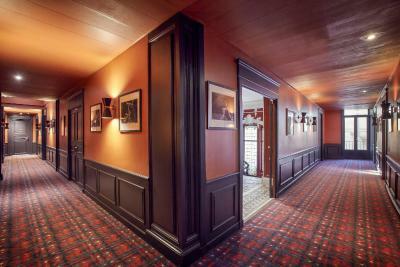 The property features a bar and the rooms are individually decorated and have satellite TV and free WiFi access. 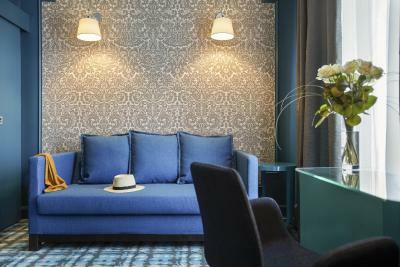 This Haussmann-style building has air-conditioned rooms with a 26-inch flat-screen TV and a work desk. 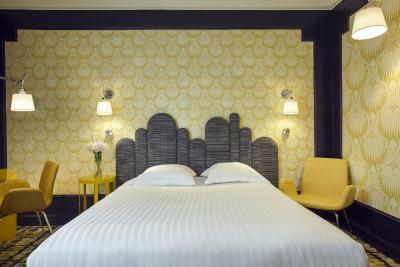 Some rooms have been decorated to create a romantic ambiance. 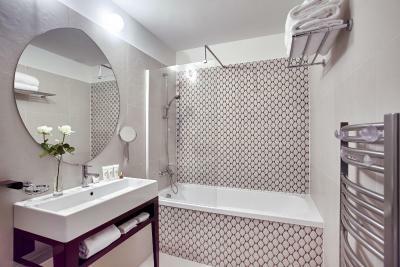 All bathrooms in all rooms have a bath or a shower, a magnifying mirror and toiletries. 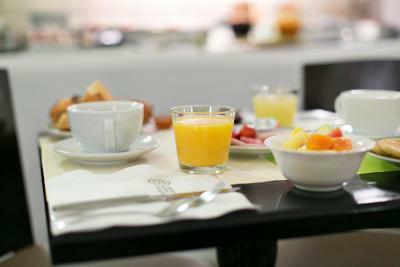 A buffet breakfast is served each morning in Bar Les Loges, which is open from 07:00 to 23:00 every day. 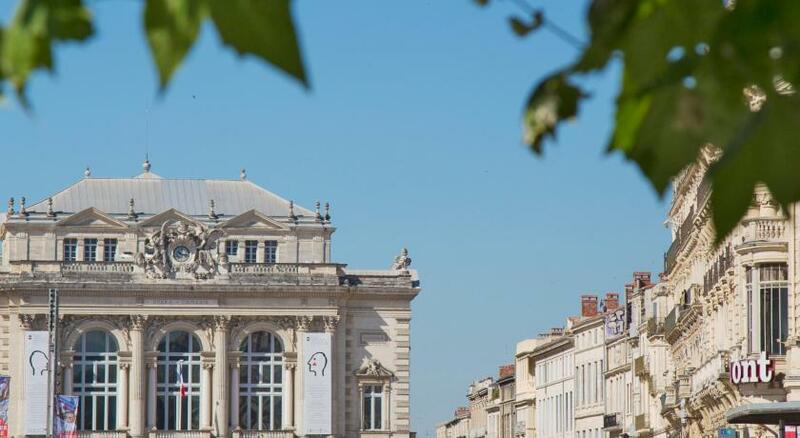 The hotel is 350 feet from Comedie Tram Station and a 10-minute walk to the Corum Congress Center. Mediterranean beaches are a 20-minute drive away. Public parking is located nearby, with special rates for guests of the hotel. 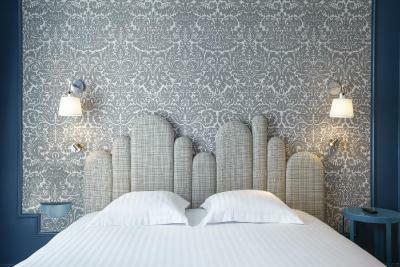 This is our guests' favorite part of Montpellier, according to independent reviews. 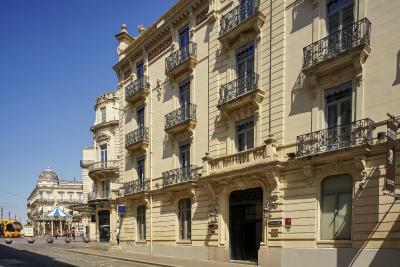 This property also has one of the top-rated locations in Montpellier! Guests are happier about it compared to other properties in the area. 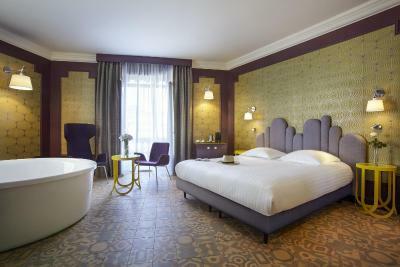 When would you like to stay at Grand Hôtel du Midi Montpellier - Opéra Comédie? 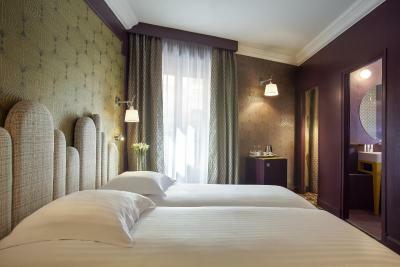 This room features a satellite TV, a mini-bar, free WiFi access and air-conditioning. A welcome tray is also offered. 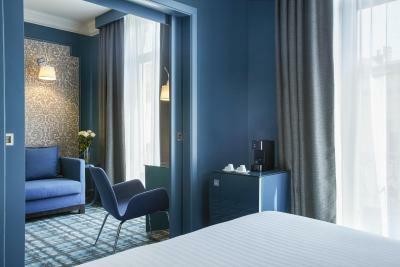 This spacious room features a satellite TV, a mini-bar and a free WiFi. There is air conditioning and a welcome tray is provided. 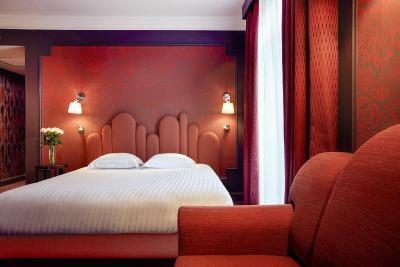 This air-conditioned triple room has a satellite TV, a mini-bar and free WiFi. A welcome tray is also offered. 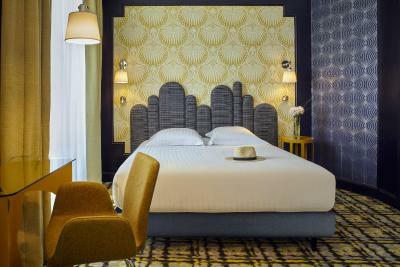 This family suite has air conditioning, a satellite TV, a mini-bar and free WiFi access. A welcome tray is also provided. 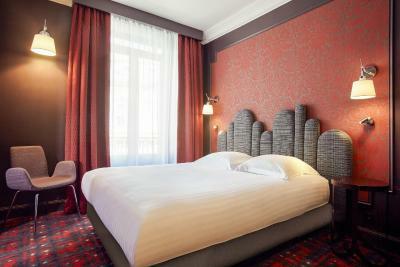 This double room features a view over Place de la Comédie. 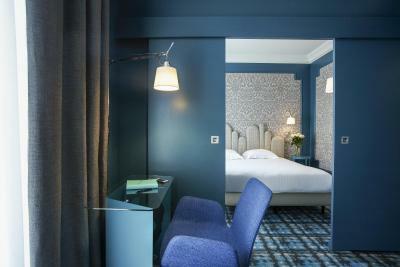 It comes with air conditioning, a satellite TV, a mini-bar and free WiFi access. A welcome tray is also provided. 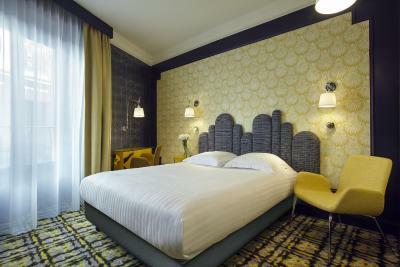 This air-conditioned double room has a satellite TV, a mini-bar and free WiFi access. 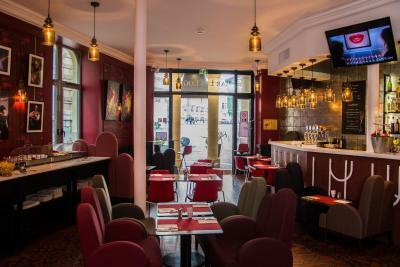 It has a terrace and a view over Place de la Comédie. A welcome tray is offered. 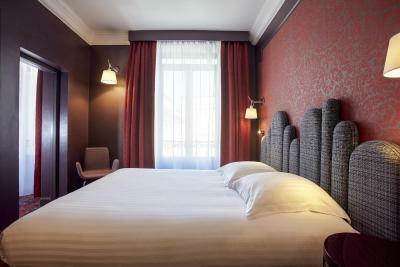 Welcome to the Grand Hotel du Midi, located in the city centre next to Comedy Place. 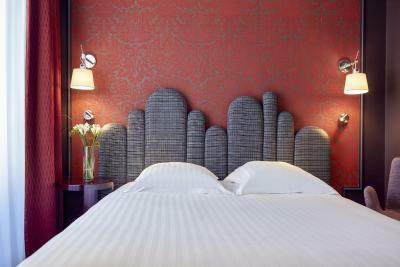 Our charming hotel offers 44 Comfortable rooms view over the city. 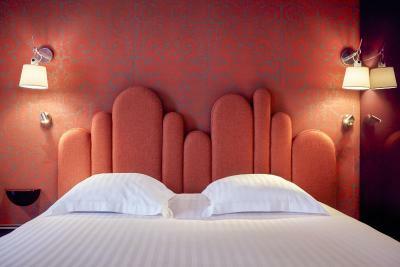 Rooms are equipped with flat screen, wifi, tea and coffee making facilities and private bathroom. 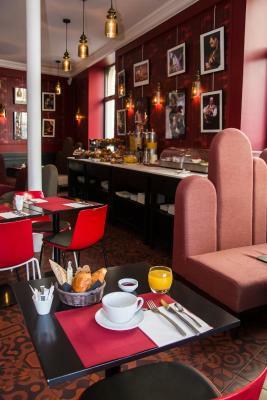 You may enjoy your breakfast in a nicely decorated dining room and take refreshment during your stay in our Les Loges Bar. 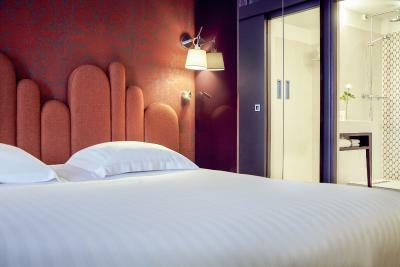 All our team will be delighted to take care of you during your stay. 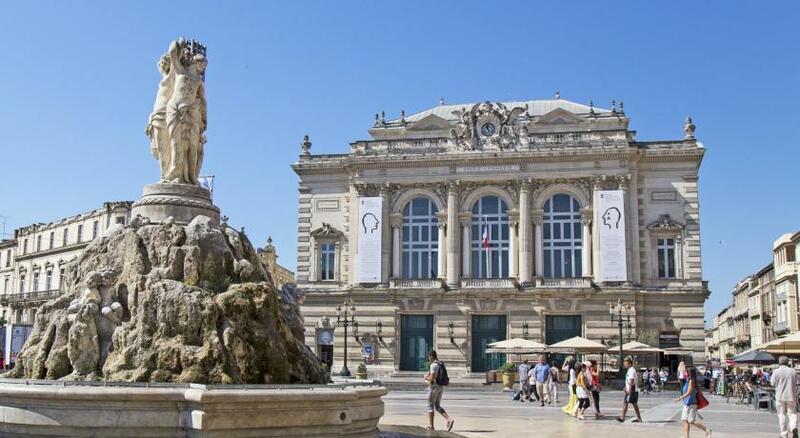 Fall in love with Montpellier's old town, full of quiet squares and grand hôtels particuliers with beautiful courtyards. 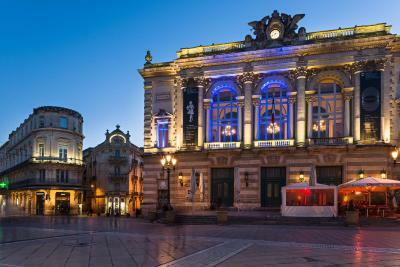 House Rules Grand Hôtel du Midi Montpellier - Opéra Comédie takes special requests – add in the next step! 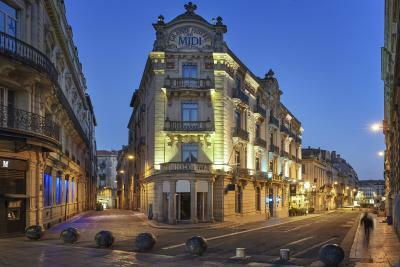 Grand Hôtel du Midi Montpellier - Opéra Comédie accepts these cards and reserves the right to temporarily hold an amount prior to arrival. Please note that the credit card used for booking and proof of ID must be shown upon check-in. Please note that the hotel is located in a pedestrian area and cars cannot access the property. 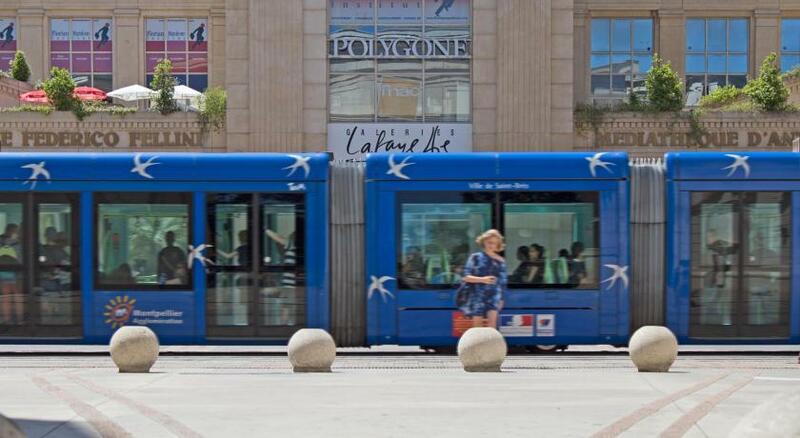 For guests wishing to park their car nearby, the Parking de la Comédie car park is accessible less than 350 feet away via a tunnel. Discounted rates are available when parking for 48 hours and more. For more information, please contact the property. 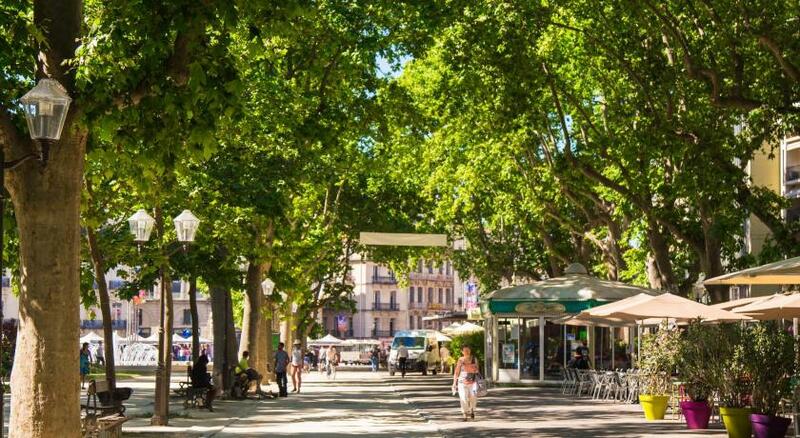 One of the most picturesque neighborhoods in Montpellier! Tied to get extra billows for our room but the front desk blew the request off - kinda frustrating. The bed was not a true queen mattress but rather two twins joined so there was a crack down the middle. The location was excellent. Rooms very good and a nice size even as standard. Very clean. The air conditioner was not turning cold and i had to ask to turn mine completely as it was boiling hot in my room. 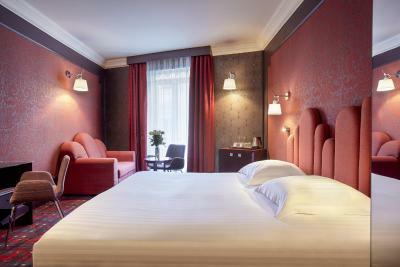 Facilities are very limited in the room and in the hotel itself. There could also be better amenities in the rooms. Nice location but it smelt foul outside the hotel and there was always drunk people shouting at night. Nice people who works at the hotel, they are always ready to help. The room was cleaned very well on a daily basis. 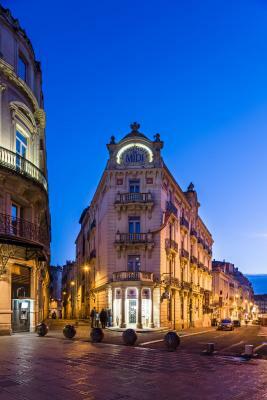 The hotel is in a very nice building and in a very nice location in Montpelier. the room is very clean and location is excellent. Bath in the middle of the room ! Breakfast seemed a bit expensive. A bit of a nightmare to find by car. Right in the middle of town. Comfortable bed. Parking is a nightmare and satnavs are baffled by the narrow streets, one way system and underpasses. Style and comfort. Fabulous location in heart of this glorious city. Great restaurant next door at the Brasserie du Theatre. The shower leaked onto the floor in the bathroom. Excellent location. Large room. Very large bathroom. The breakfast is not worth the money, and the overall cost is high for such a hotel without a restaurant and an average bar area, BUT the staff make it a good experience. Excellent location, but still no sound. Lovely staff and good size room. We had a terrace view of the square. When we arrived and visited our room we noticed the door to the bathroom was faulty. We told the receptionist and we were immediately given another room and was upgraded. It was my birthday and a note and some chocolates and biscuits were given to me, a lovely thought.